Nickerson joined Emory Eye Center in 1991. He currently serves as professor and is vice director of Research. His interests are in retinal degenerative diseases and the genetics behind them. He studies pharmacological and gene therapy approaches to slowing or preventing these degenerations. Nickerson received his bachelors degree at Massachusetts Institute of Technology, master’s degree at Michigan State University, PhD at the University of Texas Medical Branch, and a postdoctoral fellowship at the National Institutes of Health (NIH). He served as a senior fellow and a biologist at the NIH. Whether as a treatment in human disease or as a laboratory tool, the delivery of nucleic acids into cells and expression of a gene are important. Many strategies have been proposed, and many, to some degree, function as promised. Difficulties arise when migrating from a laboratory tool or proof-of-principle into a reasonable and effective therapeutic agent. Viruses and viral particles have been most effective so far, but they have drawbacks. Other approaches have not been as efficient. The invasiveness of current gene delivery schemes has been secondary to their efficiency and their associated risks, such as immunogenicity. We are considering noninvasive technologies to circumvent many problems with present gene delivery approaches. We employ mouse models of human ocular genetic diseases in testing gene delivery. The Association for Research in Vision and Ophthalmology (ARVO) awarded Nickerson, PhD, the prestigious Gold Fellow status in 2013. Nickerson was tapped an ARVO Silver Fellow in 2009, having served on several ARVO committees and in leadership roles over the years. In 2013 he served as the ARVO Awards Committee chair. 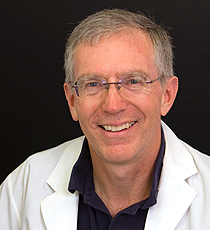 Nickerson is a founding and current editor-in-chief of Molecular Vision, a peer-reviewed journal dedicated to the dissemination of research results in molecular biology, cell biology and the genetics of the visual system. The journal is rated in the top five of a field of 32 competing journals and is routinely used as an open access exemplar by the National Library of Medicine and The National Institutes of Health Library. He serves on the editorial boards of The Journal of Ocular Biology, Diseases, and Informatics andClinical Optometry. He is active on numerous national and international committees and has served institutionally as well, at Emory on the University’s Library Policy Committee. He is a prolific manuscript reviewer for numerous scientific publications. A sought-after lecturer and visiting professor, Nickerson has been an invited speaker to universities across the United States as well as to international conferences. He has published more than 80 research articles, and numerous book chapters and abstracts.